Over the past several years the trend in youth sports has been toward early specialization. This movement grew out of the popular research of Dr. Anders Ericsson that concluded 10,000 hours of “deliberate practice” was necessary in order to achieve mastery of any pursuit. This notion was fueled by images of Tiger Woods playing golf as a 2-year old and videos of Lionel Messi as a 5-year old. Further, the business of youth sports across the United States has effectively utilized the notion of early specialization to captivate and monopolize a customer base. Parents have been told that specializing in a single sport is the only way their child will excel and the only pathway to a college scholarship. Numerous studies and anecdotal evidence now reveals that early specialization for children can not only lead to early burnout and dropout, but may also be physically detrimental to them as a young athlete. Research now reveals we are turning “play” into “work” for our children. While kids just want to have fun and be good at something, the adults around them see sports as something far more demanding. Further, countless world-class athletes have shared their stories of participating in multiple sports through high school. They attribute their ultimate success in one sport to their experiences in all of their sports. A recent report by The Aspen Institute’s Project Play revealed that seven out of 10 Olympic athletes surveyed by the United States Olympic Committee said they grew up as multi-sport athletes, and most called it “valuable.” A recent poll of more than 500 college soccer coaches, including 221 Division 1 coaches, determined they prefer an athlete who played multiple sports. 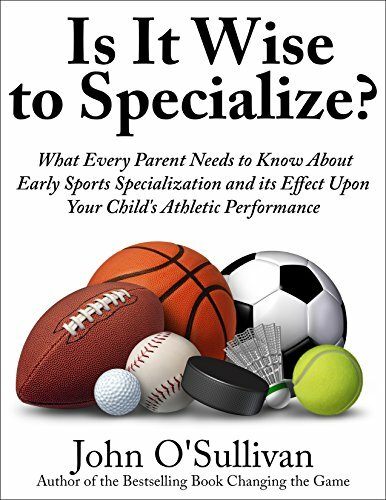 Below are just a few of countless resources for parents and young athletes to consider when they begin to have discussions of whether to specialize in one sport. Whether a club permits and accommodates participation in other sports or demands specialization at younger ages may be a factor to consider in choosing a club or a team.